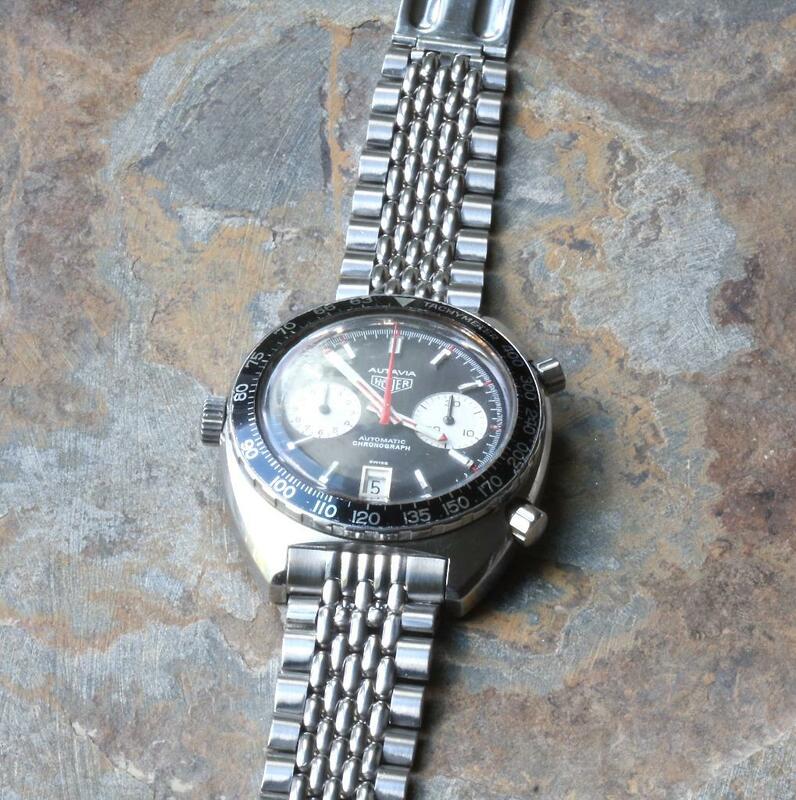 If you are the owner of a vintage Heuer Autavia chronograph Heuer Siffert 1163T or Heuer Viceroy 1163V watch, you know how expensive the original Beads of Rice bands are by Gay Freres (GF), if you can find one. 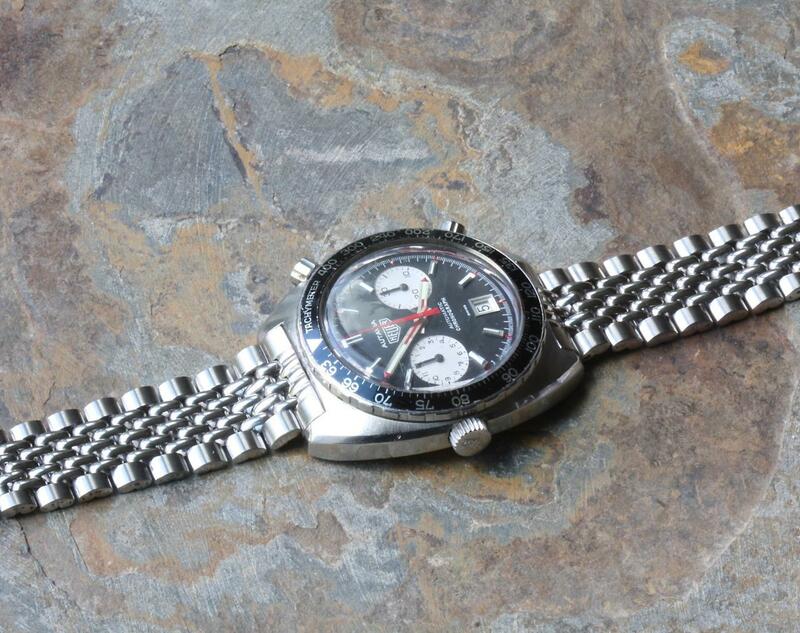 Plus the Heuer end pieces are very scarce and pricey. Even the original economy BoRs aren’t easy to find in nice condition. 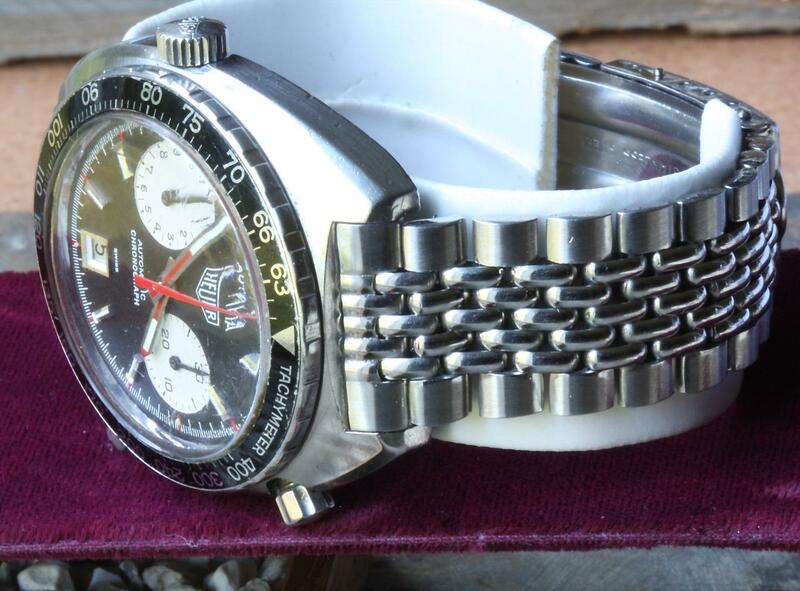 This is an affordable and practical option to get your Heuer on a BoR right now: a New Old Stock 1960s/70s Beads of Rice vintage watch band that has been specially modified to have straight ends to fit the 20mm straight lugs Heuer 1163 cases. 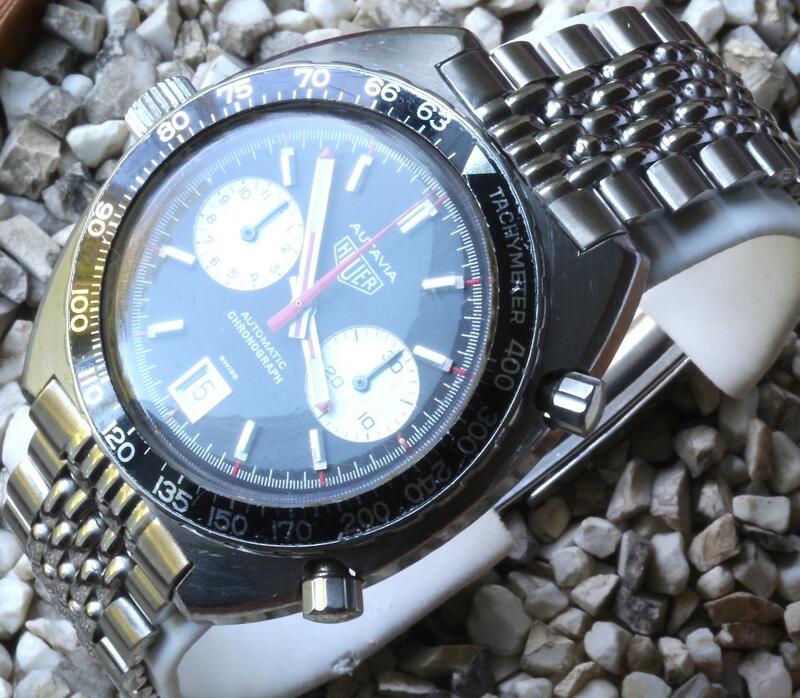 We test each band on an Autavia 1163V and a Heuer 1163T Siffert. The 20mm wide end pieces sit tightly against the case. 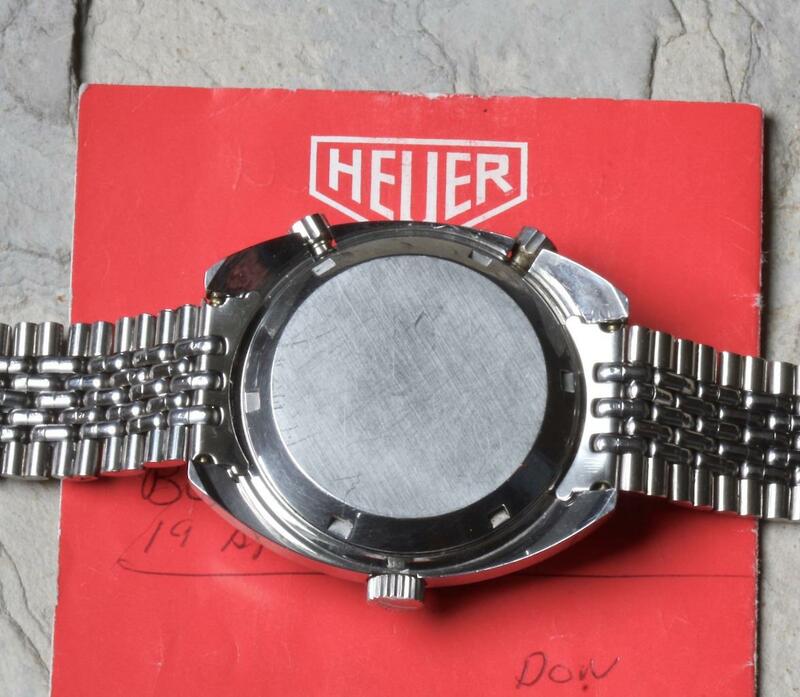 Even original Heuer ends bands have floppy end pieces sometimes that don't sit flush with the case or rattle. These don’t. Plus the band has perfect tapering out to wider links before the ends to make the transition to the chunky 1163V and 1163T cases ideal. 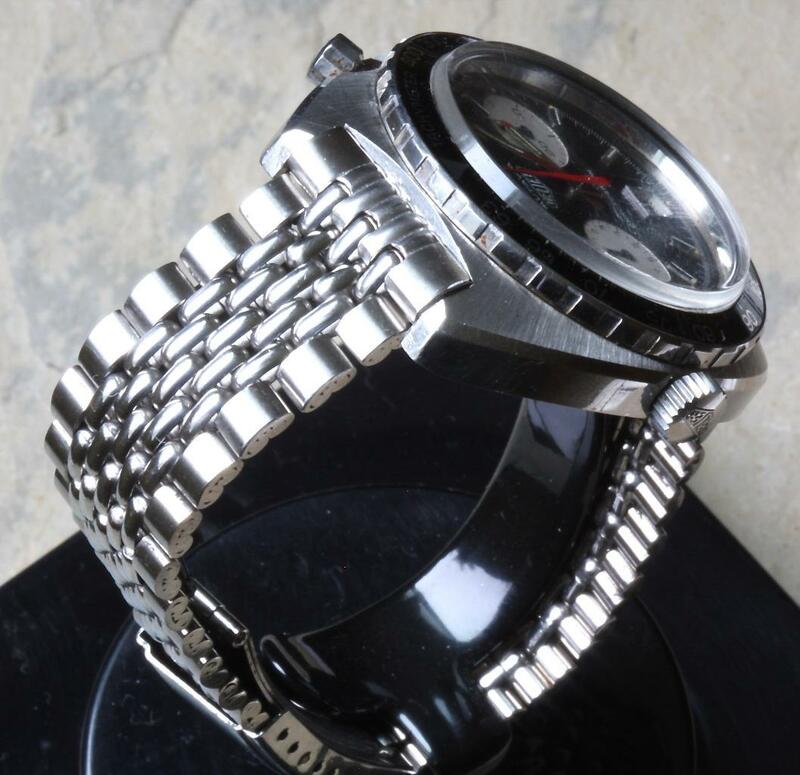 This band is signed on the back of the clasp simply “100% Stainless Steel.” The length of the band is 6 inches (15.3cm) fully extended and it sizes down to 5 1/2 inches (14cm) with the adjustments in the clasp. We can sell and install extra original links to make it longer. 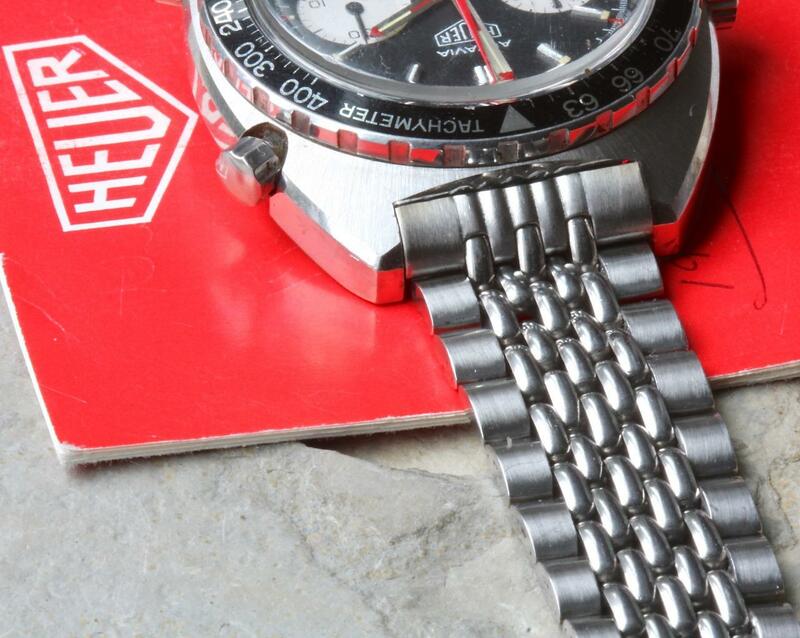 You can shorten the band more by removing links, which is easy to do on these bands. 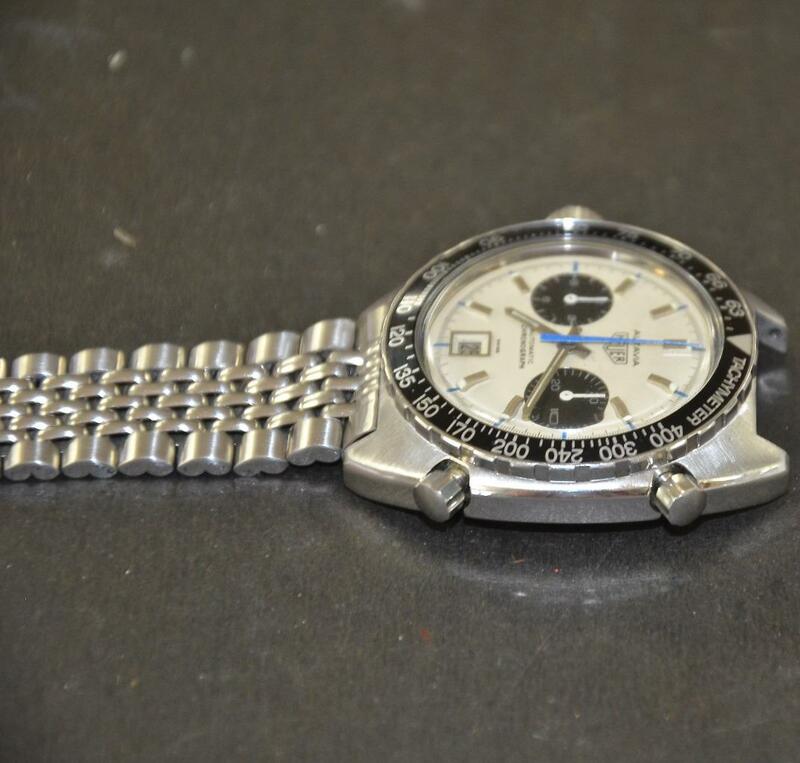 Clasp is 17.3mm wide. Links are 3.2mm thick. Band weighs 33 grams. U.S. Priority shipping for $12.99. 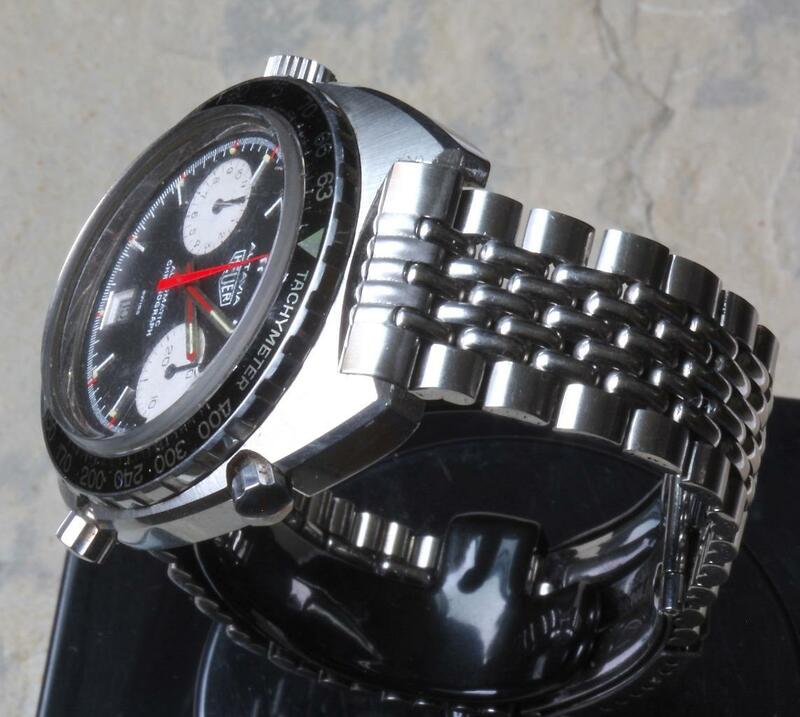 International shipping is $65 for EMS Express (arrives in 5-7 days) or $115 for FedEx. 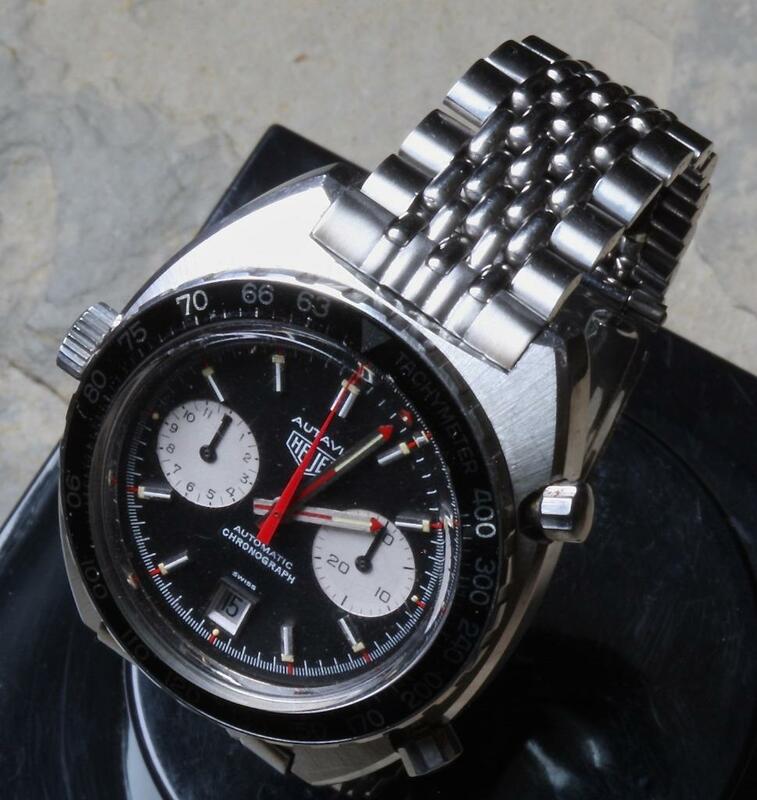 Do you have a Heuer 11063 case Autavia? 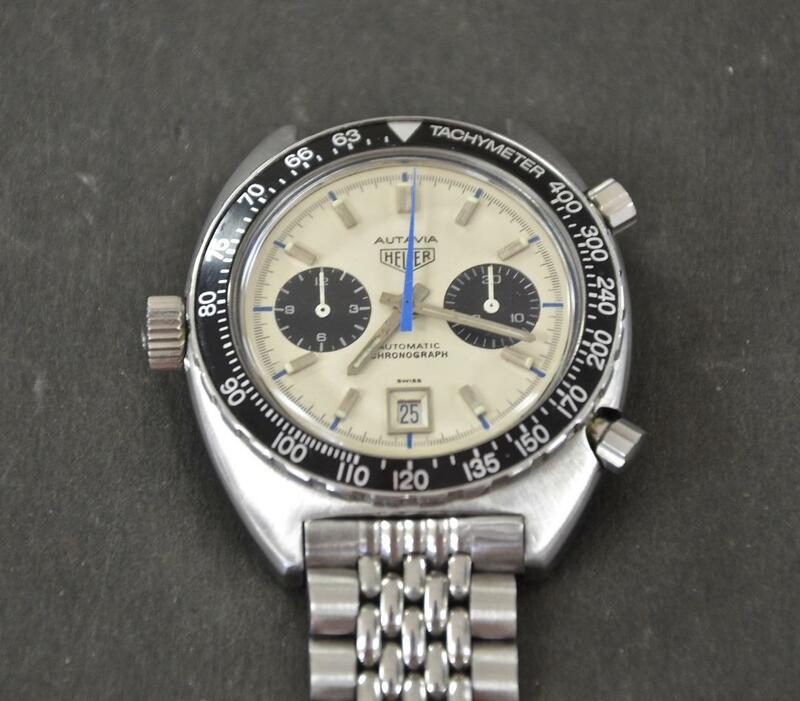 We also now offer a similar modified 21mm wide ends BoR band for the 21mm Autavia 11063 case reference models. Email for details. See our full selection of Beads of Rice bands at Squinky.com including BoRs in 17.3mm, 18mm, 19mm, 20mm and 22mm, plus spare BoR links and end pieces.